The Rowayton Arts Center (RAC) announces the selection of four new exhibiting members, who were juried in January. These artists are painters Anda Styler of New Milford, Ronnie Gold of Stamford, and Elena McCoy of Rowayton, plus photographer Josh Iguchi of Rowayton. To become an exhibiting member, artists submit three works to be reviewed by the Artist Selection Committee, which meets three times a year in January, May and September. Artists who are selected for three of the six RAC juried exhibits within a two-year period are also eligible for exhibiting member status. There are currently almost 250 exhibiting members. 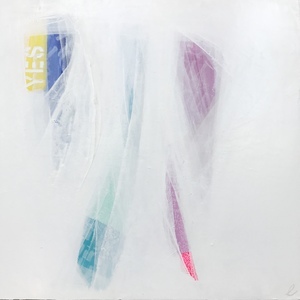 Attached image: Painting by new exhibiting member Elena McCoy, "Yes"